Don’t get me wrong, I’m loving the current hot weather as much as everyone else; but, sometimes, it’s nice to sit outside, in the shade, without feeling like you’re beginning to melt, or worrying about waking up in the morning as red as a lobster, with painful peeling shoulders. Trust me, sunburn is not a look you want to be sporting for the big meeting first thing on Monday. 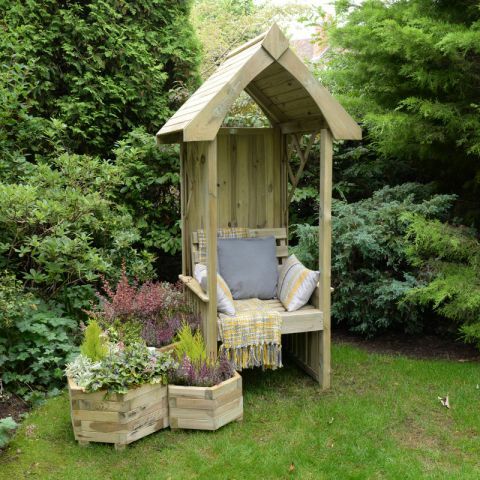 Creating some shelter in your garden offers you welcome respite from the scorching summer sun, allowing you to spend more time outside, at a much more comfortable temperature. Here are a few options well worth considering, and, don’t worry, there’s nothing shady about them! Though pergolas’ roofs typically feature trellising or open spaces, they can still be used to create shelter and shade – with the help of a few climbing plants. Be sure to include different varieties, which flower at different times, to ensure decent coverage throughout the seasons. 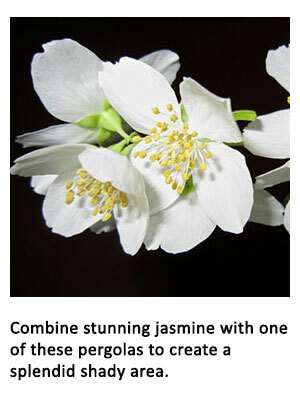 Try wisteria, jasmine, and clematis; they’re easy to grow and look great. 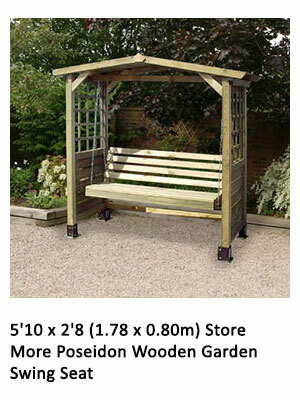 Click here to view Shedstore's fantastic full range of pergolas. 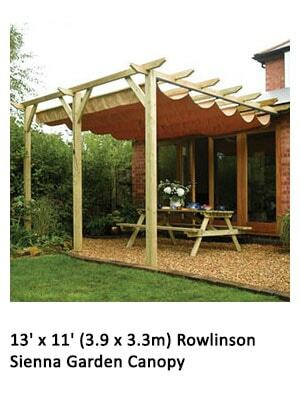 If you want more coverage perhaps a freestanding or wall-mountable canopy would be an appropriate alternative? 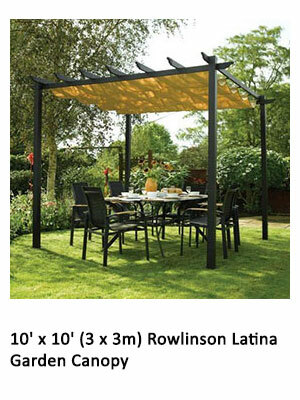 Protecting you from the sun’s rays as well as those all-too-common summer showers, canopies truly are a great investment. 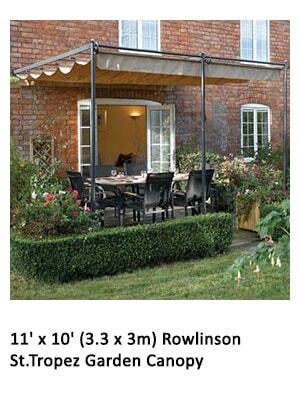 Ideal for covering garden furniture, a stylish canopy allows you to enjoy alfresco dining regardless of the weather. Plus you can move the canopy back when you desire more light. 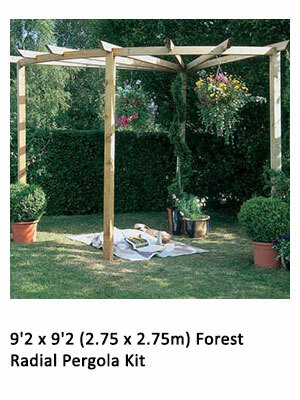 Click here to view our fantastic full range of canopies. 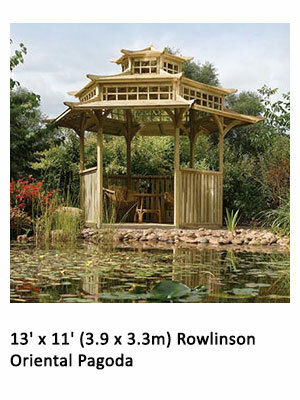 For those owning larger outdoor spaces, luxury wooden gazebos are brilliant providers of shelter and shade. Featuring impressive 15 year guarantees against rot and fungal decay, thanks to advanced pressure treatment techniques, these items are designed to stand the test of time. Plus, larger models have more than enough room to keep a whole family protected and under cover. Some even feature integral seating areas and tables; how great is that? 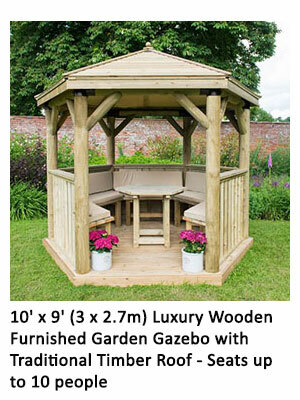 Click here to view Shedstore's fantastic full range of garden gazebos. 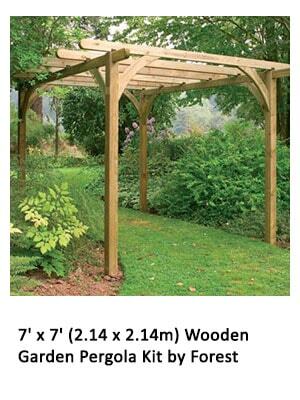 For those with a more limited area to play with, arbours are a wonderful solution for outdoor spaces deprived of shade. 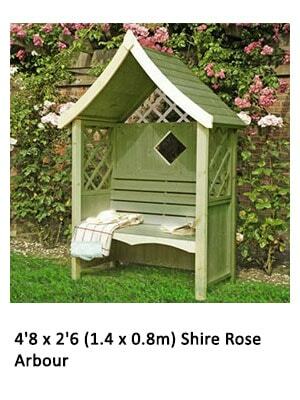 Providing just enough space for a couple to spend a romantic evening, or ample room for one to stretch out and enjoy a good book, arbours are a must-have for anyone who enjoys spending time outside. Be sure to accessorise with paints and those aforementioned climbing plants too; you’ll create a truly unique, personal garden feature. 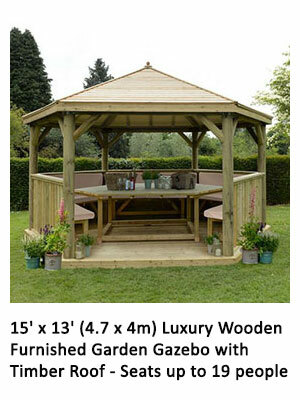 Click here to view our fantastic full range of garden arbours. Have you got any other suggestions for producing shady areas in the garden? If so, please feel free to leave a comment down below – we’d all love to hear your thoughts. 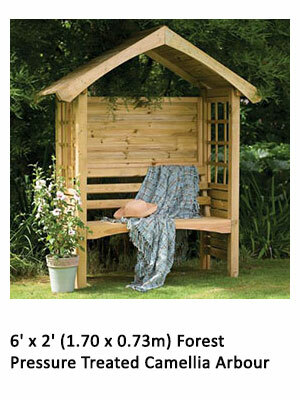 Why not check out our outdoor living section too, so you can see Shedstore's full product range? Be sure to join us next week, for a further instalment of Shedstore’s famous blog.